There's plenty of scrubbing, trimming, raking, and washing to be done as the next camp season approaches! We rely on faithful volunteers who help us prepare for great ministry opportunities. 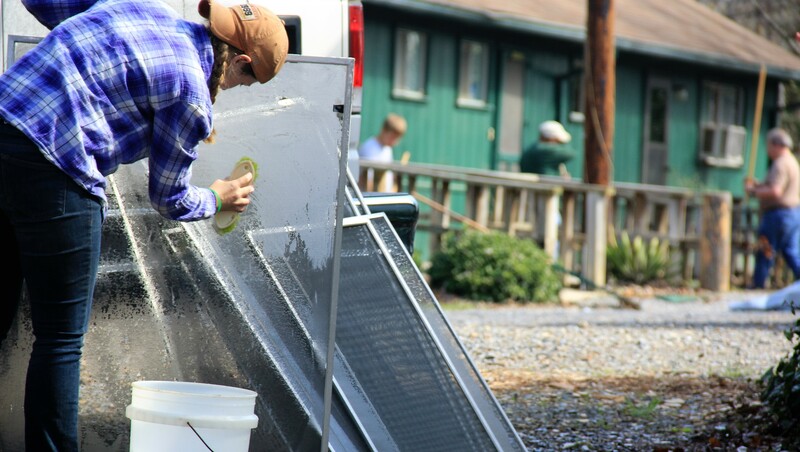 Each spring, a great crew of volunteers comes to camp to help with "spring cleaning." 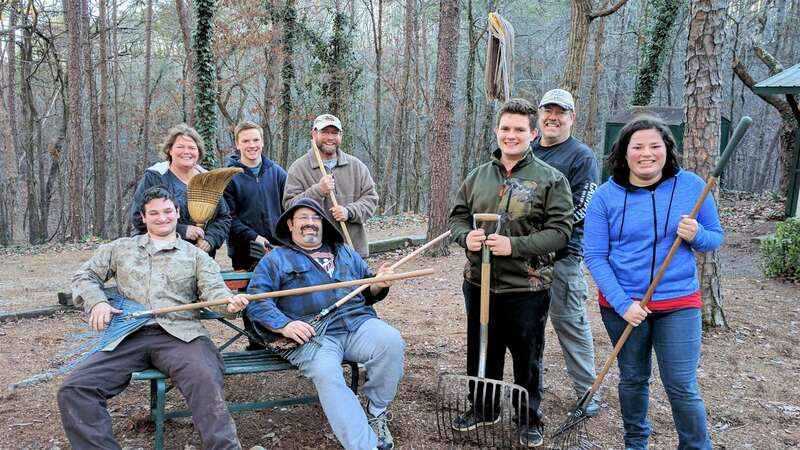 We get ready for spring and summer camps by raking leaves, cleaning windows, and much, much more—and it couldn't be done without people like you! Our spring 2018 work days will be announced in the coming months. Work days begin at 9:30 am. Lunch is provided. If you can come, let us know here! © Camp Sunrise, Inc. All rights reserved.